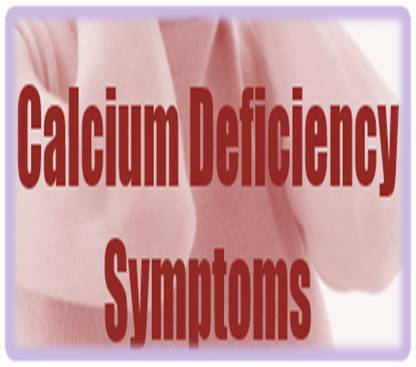 Many factors can contribute to calcium deficiency including poor nutrition, eating disorders and excessive exercise. A deficiency of calcium occurs when the calcium levels in the body drop beyond normal. It is usually hard to detect early signs of this deficiency. Clear sings are only visible during advanced stages which weak bones and bone fractures. Calcium is an essential mineral that plays a major role in the health of bones, teeth, hormone and nerve functions and regulation of blood pressure. A deficiency will therefore affect all these areas of our health. The leading causes of calcium deficiency are poor nutrition, eating disorders, poor calcium absorption and excessive exercise. The symptoms of low calcium levels in the body is not obvious in its early stages. After some time, signs of this deficiency begin to show. A common sign is osteopenia which when in its advanced stage leads to osteoporosis, which is as a result of failing to build adequate bone mass. Progressive bone loss is another cause especially in elderly people. Osteoporosis is also most common to people in families that have a history of this condition. Other probable causes include being inactive, thin, female, or elderly. Excess drinking of alcohol and cigarettes smoking are other causes as well. A calcium deficiency increases your risk of having bone fractures. This is especially common with elderly people. It also cause rickets. Muscle cramping is one of the earliest sigh of deficiency. This sign occurs in the legs especially in the night. Dry skin and brittle nails is another sign. If your fingernails break easily and your skin becomes dry beyond normal, then you could be lacking calcium. Small bone fractures or full bone breakage are symptoms of calcium deficiency. If you find that your teeth have started turning yellowish, it can be a sign of deficiency of calcium. Severe cramping in women and a change in menstrual flow may also be experienced. These individuals are likely to absorb less amounts of calcium than omnivores people since they don't take dairy products. They might therefore lack sufficient calcium needed for normal body functions. For vegetarians to counter this situation, they should consume a lot of fruits and vegetables that contain calcium. Calcium supplements are another alternative for this people. These will help them to fill their calcium gaps. Amenorrhea is a health condition in women in which menstrual periods fails to initiate or even stops. These women usually have imbalanced calcium levels, low calcium absorption and high urinary calcium excretion. They also have low bone formation than normal. These women should increase their intake of calcium foods, and also seek a doctor's advice on the best calcium supplements they should take. Menopause in women is a cause of bone loss since a reduction in their estrogen production eventually reduces calcium absorption and increases bone resorption. Postmenopausal women should consume adequate quantities of calcium either through increasing their intake of calcium foods, or supplements. These will control bone loss in these women. People with lactose intolerance experience symptoms like flatulence, bloating or diarrhea whenever they consume more lactose than their body can hydrolyze. However, studies show that these individuals may take up to 12 grams of lactose with no or few symptoms if they combine lactose with other foods. Eating low-lactose products like yogurt and lactose free milk is another way of increasing calcium in their body. People with this allergy cannot take cow milk. Because of this, they have high risks of calcium-deficiency. These individuals should increase their intake of cabbage, kale, broccoli and bok choy. Milk fortified foods and calcium supplements are other sources of calcium for this group.